Hi! I’m Abi Ruth (middle name, not last name). Since attending photography school in 2001, I have been using my creativity and people skills to document life, love, work, fun, play, and everything in between for lots of families, individuals, couples, businesses, and nonprofit organizations. Photography has been a source of income and joy in my life for many years now, and I am thankful God has blessed me with this business. The summer before my senior year of high school (Class of 99, yeah! ), my family moved back to Oklahoma from Iowa. We had lived here when I was younger, too. So, I finished up high school and wasn’t really sure what to do, for various reasons. There was this boy (of course), so I stayed at my church and attended one year of Bible college (yep). A year and a broken heart later, I knew that wasn’t the place for me. While working as a receptionist at a swanky office complex, I sat and looked at magazines and remembered my dreams of a glamorous life in the fashion industry. I looked into some local beauty schools, but nothing felt right about going that route. Then I thought about those sleepover fashion shoots I used to conduct…I thought about being the one who actually took the photos, and I looked up local photography schools. There was one. Two weeks later, I was enrolled. To say that was a life-changing decision would be such an understatement. Not only did I attend and graduate from that school, but I also ended up teaching there for five years. Oklahoma School of Photography introduced me to some of my very best friends, and my photography has brought countless more wonderful souls into my life and heart. But underneath it all, for the past fifteen-plus years, there has lurked that desire to have a place. Not a photography studio, because for one, I love finding unique locations all over to shoot; but two, because I really want to have a place where people can hang out and just chill. So, years ago, I thought of something: a shop. Like, a boutique. 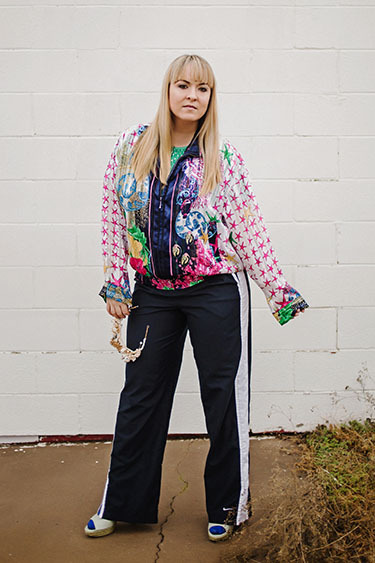 A clothing shop, with a twist: all thrifted pieces found by me. It was a perfect idea! It encompassed everything! If people could hang out at coffee shops, why couldn’t they hang out at a clothing shop? And I had all the photography skills to do my own marketing and showcase the clothing I’d have to offer, especially with the prevalence of social media. I had (have) so many ideas! What I haven’t had is the know-how to turn my dreams and ideas into reality. Back in 2009, something happened that caused a big shift in my photography business and my life. 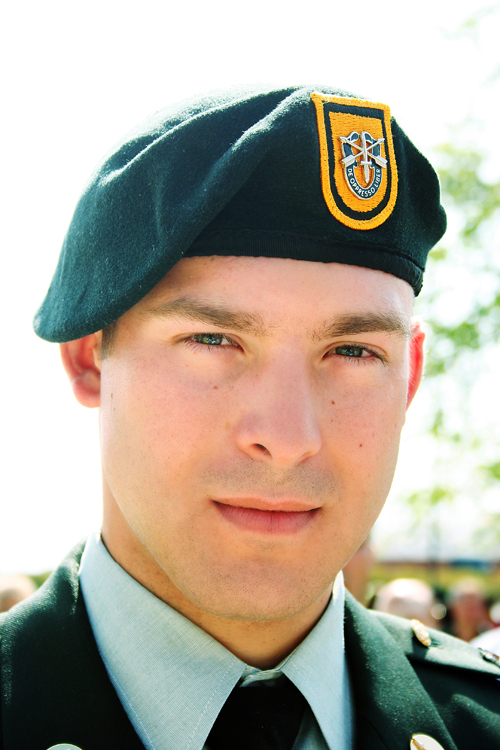 My younger brother, Jack, was a Green Beret serving in the Philippines, helping to build a school among other things, when his life was cut tragically short at the age of twenty-six. Everything changed. I had two weddings scheduled to shoot the weekend after he was killed. Two photographer friends of mine graciously covered those for me, for which I am forever grateful (thank, you, Kriea and Heather). But something in me had shifted, and I cut way back on shooting weddings (the one type of shoot that cannot be canceled or rescheduled no matter what happens in your life). Looking back, I believe I also hit a turning point of wanting to do more to reach others and help them find a relationship with Christ. Sure, my photography introduced me to a lot of people, but it didn’t really give me a big opportunity to speak into their lives. I began volunteering with our youth program at church and in a local foster care shelter. The foster care shelter was closed a couple of years ago, and I no longer volunteer at my church, but I now mentor through two different mentoring programs that I’m heavily involved with. And deep within me, the desire to have a good, uplifting place for young people to hang out has been growing deep roots and has begun to sprout. At the end of 2016, I began to sell some of my thrift finds online. It’s never been my desire to just buy cheap and sell online (a clothes flipper – I never realized that was even a thing until recently). While I can see the appeal (shop all day! spend money! earn it back and then some by selling! ), I have much more interest in owning a boutique of thrifted goods. A place where, you know this by now, people can hang out! :) I want it to be cool stuff, classic stuff, trendy stuff, edgy stuff. The wardrobe staples and the one offs. I want to find it and I want to sell it all. But mostly, I want to provide a place to just be. A good place. Eventually, I’d love to employ people who might need help finding employment, such as kids who are aging out of the foster care system. I have all sorts of visions and dreams and goals for this place of mine. But for now, I am starting where I am. I am currently selling on Poshmark (@abi_ruth) and eBay (abiruththeshoppe), and I occasionally do pop up shops. Because I am tired of not pushing forward just because I don’t know how or where to take the next step. I am ready to blaze my own trail! I am wanting information about your wedding packages. Thank you! I am wanting information on your wedding packages.